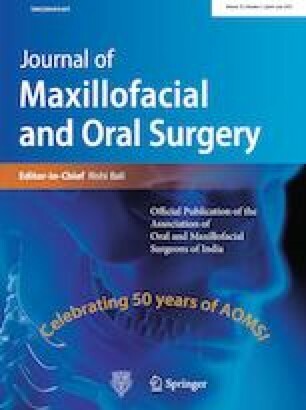 The impact of the dimensional parameters of the pharyngeal bony frame by its length, width and the position of the hyoid upon the severity of obstructive sleep apnea syndrome (OSAS) has not been investigated in depth. Interactions of those parameters with body mass index (BMI) and their overall reciprocal effect on OSAS severity have also not been established. This retrospective cross-sectional study was conducted on 108 male OSAS patients followed in OSAS outpatient clinics between November 2014 and October 2015. They all underwent a polysomnography test, and an apnea–hypopnea index (AHI) was calculated. They also underwent an upper airway computerized tomographic scan in which three craniofacial parameters were evaluated: inter-pterygoid distance (IPD), hard palate-to-hyoid (HP-H) distance, and gnathion plane-to-hyoid (GP-H) distance. A longer pharynx and an inferiorly placed hyoid bone correlated with the AHI (r = 0.33, p = 0.001 and r = 0.226, p = 0.03, respectively). GP-H correlated with body mass index (BMI) (r = 0.3243, p < 0.001), while HP-H and IPD did not. We found an interaction between BMI and HP-H, but none between GP-H and BMI. IPD did not correlate with OSAS severity, but it correlates with the age of the OSAS patients (r = 0.235, p = 0.015). Pharynx length and hyoid position have significant effects upon OSAS severity, and they interact differently with BMI in terms of those effects. Hard palate width increases with age but has no correlation with OSAS severity. This work was presented at the AAO-HNSF annual meeting and OTO EXPO September 2016; This work was performed in fulfillment of Daniel Ben Ner’s M.D. thesis requirements of the Sackler School of Medicine, Tel Aviv University, Israel. Daniel Ben Ner and Narin Nard Carmel-Neiderman have been equally contributed to this work. This work was performed in fulfillment of Daniel Ben Ner’s M.D. thesis requirements of the Sackler Faculty of Medicine, Tel Aviv University, Israel. We kindly ask to acknowledge Esther Eshkol for her editorial support.